The Schwade Nr. 1 was followed by Nr. 2: it had the same rotative pusher engine but a twin boom; it was a little larger and probably (but I�ve found no evidence about it) its machine gun was fixed. 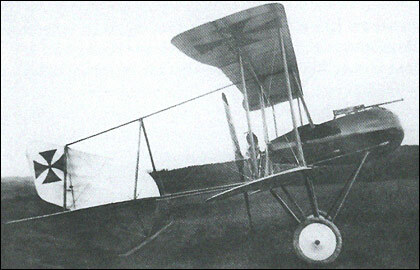 In 1914, German designer Otto Schwade finished his first fighter. It was a biplane with a single pusher propeller. The aircraft was designated Kampfeinsitzer Nr 1. It was powered by a 80 hp engine. (A copy of the French Gnome) and a 7.92-mm machine gun Bergmann LMG 15 on the movable turret. The aircraft carried out several test flights, but it was abandoned, as he had already begun work on the better Kampfeinsitzer NR.2.